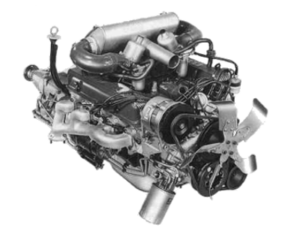 In celebration of this engine, the Joint Rover Clubs of Great Britain, consisting of the Rover Sports Register, The Rover P4 Drivers Guild, The P5 Club, The Rover P6 Club, The SD1 Club, The Rover 200/400 Club, The Rover Coupe Club, The Rover 75 and MG ZT owners club and Rover 800 Club will be joining forces to stage one big celebratory “Rover Fest” weekend in August 2017. Rover Fest will be the combined National Rallies of all of the Rover Clubs stated above for 2017. This unique event will be run over 3 days (Friday 11th – Sunday 13th August next year) and will be based around Wroxall Abbey Warwickshire located in the Heart of England within close proximity to the original Rover manufacturing plants of Coventry and Solihull and of course well known tourist attractions of Warwick, Stratford upon Avon and Leamington Spa. There will be organised events throughout the weekend with visits to local attractions culminating in an all Rover Rally on the Sunday 13th in the grounds of Wroxall Abbey, which is expected to be the largest get together of Rover produced vehicles, including bicycles, ever held in the United Kingdom. We particularly want to see as many of our members from the United Kingdom but also mainland Europe and the rest of the world in attendance in their Rover vehicles where possible. Please put this date in your diaries and keep an eye open for further details in Rover Club Magazines and on the Website.